NEW PORT RICHEY, FL, June 27, 2017 (Newswire.com) – Race Face Brand Development has created Race Face University, the only online driver education, branding, and marketing course-of-study that is custom-tailored to drivers, boys, and girls under the age of nineteen and their parents. A semester is an 8-week course-of-study that includes training videos, live weekly webinars, and interactive content training about important branding resources like: Hero Cards, Media Decks, Car Design, and Sponsorship Proposals. Additional important marketing and branding training topics include: Social Media, Building a Fan Base, Performance vs Results, Goal Setting and so much more. Bonus: coursework includes laser-focused training modules on subjects like Monetary Management and Budgeting, Personal Development & Motivation. The training is all geared to give both drivers and parents the competitive edge to present themselves professionally and to help secure sponsorship dollars needed to continue advancing their careers. “At Race Face University, our mission is to give young racers a competitive advantage on-the-track, and parents a marketing and branding advantage, off-the-track,” says Rod Wortham, founder of race face Brand Development. This group is filled with auto racing hopefuls that number in the tens-of-thousands. On any given weekend, over 1,400 race tracks across the United States participate in youth racing with over 100,000 racers and fans numbering in the millions. 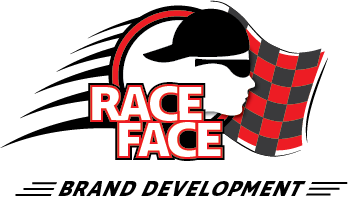 Race Face Brand Development is made up of a staff and an advisory team of well-established leaders in the auto racing world: Rod Wortham, Lorin Ranier and Tom Baker. Together this group has nearly 100 years of combined experience and successes in driver coaching, media, marketing, and branding from the kart level right up through the crown jewel — NASCAR. In addition, Rod Wortham is the CEO and founder of Race Face Brand Development, Lorin Ranier is considered as the premier driver development adviser in the motorsports industry and Tom Baker is the personal development instructor and owner of Race-Chaser Online. “A good brand doesn’t just happen … it’s a well thought out strategic plan.” The Race Face University objective is simple; give every driver, regardless of their age or level of competition, an affordable resource to assist in the “Race” to the finish line. 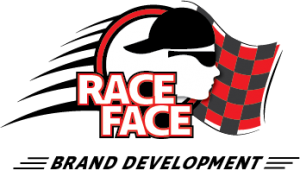 Race Face Brand Development is looking to partner with companies and organizations who share the love of racing and desire to make a significant difference in the lives of young girls, boys and their families. The Race Face University Scholarship program is designed to give these kids the opportunity to thrive within a positive environment and learn many personal skills to last a lifetime.